THE Open House of the Season - one MORE sleep! Echo Park - Wintertime IS HERE! As promised, I thought I would pass along one of my latest projects. It is KaiserCrafts' 9 Frame Photo Display. It features photos of my son taken by Fairytales Photography last November. I loved this photo shoot so much that I had to do just ONE more project using these pics! The more I work with KaiserCraft products, the more I fall in love. ♥Ah!♥ They have everything from little mini albums to desk calendars to beautiful raw frames. We have completed many of their projects and you can view them in store. All Kaiser Craft project items are made of MDF board and the prices are right (ranging from $5.99 and up...this 13"x13" item is $18.99). Rather than painting the board with acrylic paint, I thought 'what about inking it with some Distress Inks'? I am SO glad I tried because it almost looks like I was working with a real wood frame. I used Distress Inks in Scattered Straw and Aged Mahogany. They were applied directly but using a sponge dauber would give you a little more control. I then took one of Pink Paislee's clear stamps that had this gorgeous sheet music design and I was like "Whoa baby!". Texturized! LOVE! 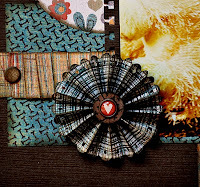 I kept with the brown and burgandy theme when choosing my papers and added a few goodies like Tim Holtz' film strips, his gear dies (cut from paper and cork), a little gala glitz , Pink Paislee tags (dyed with the distress inks) and a couple of stamps. I glued the two pieces together with a hot glue gun then took twill to edge the entire frame (which was then distressed as well). I have to admit that I started this at 10PM the night before our Open House and completed it around midnight! A quick and easy project for a loved one. Aren't you glad I'm helping you with your Christmas list this year?!?! View more presentations from paperpickle. Ladies....Ladies. Honestly, where did you all come from on Sunday?!? The turnout was truly overwhelming! We saw first time customers, original customers, regulars, kids, grandmas, friends, family....ahhhhh♥! Let me just say that YOU made our day! A sincere and heartfelt thank you, goes out to all of you that took valuable time out of your Sunday to join us. You helped us eat goodies, did make and takes and visited with friends. It is was awesome! I am still smiling. We couldn't have survived the day without our two AMAZING girls, (Aunt) Debbie and Kelsey! Also, a BIG thank you to Krystle, our sister and in-house photographer! All the photos in the slide show are compliments of this very talented girl! 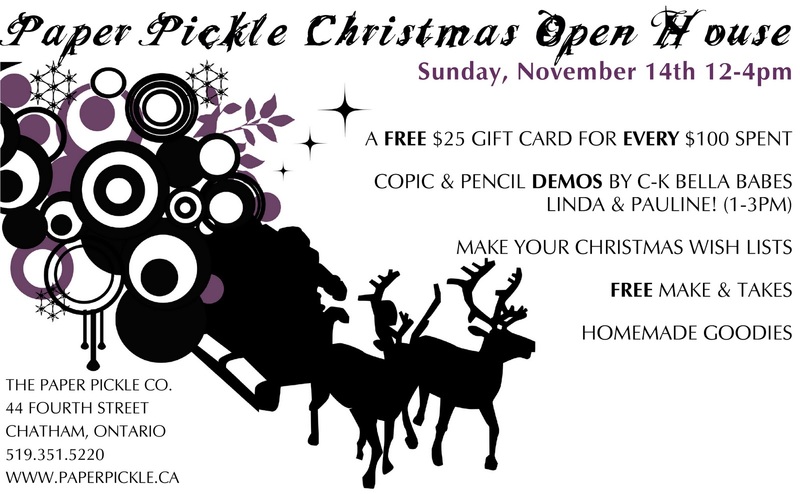 Also, did you happen to pick up some tips from Chatham-Kent's very own Stampingbella designers, Linda and Pauline? These girls helped complete our day! Thank you SO much! So did you happen to see the new products in the store? In case you didn't make it in or in case there were too many people standing in the way (ha! ), I will walk you through some of the new additions that I KNOW you will love. This is the product we featured during our make and take, which was fabulous thanks to Kell. She and Krys were very hard at work creating and playing! Check out the samples they did up. The possibilities are endless. The best part is that the accessories and outfits don't use up a lot of paper and it is a great way to make use of all those scraps that you can't bear to part with (yeah, even those little 2x2 pieces....you know the ones! Don't worry, we save them too!) There are two sets and retail for $29.99 each. A must have on any creative fashionista's wish list! So I know these are not scrapbooking or stamping related but hey, our name is The PAPER Pickle so I figured why not?!? These cocktails napkins are so beautifully designed, cleverly worded and SO perfect for the fab hostesses on your list. Which one is you? 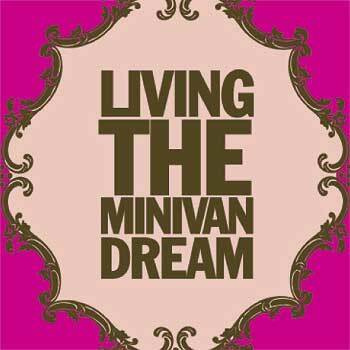 I am definitely "LIVING THE MINIVAN DREAM". We have had these two lines for the past couple of weeks but I didn't get a chance to mention them here yet so here I go! These are BG's latest lines and they are great. I wasn't sure about Curio at first (the on-line images do not do it justice) but let me say wow! What a great line. 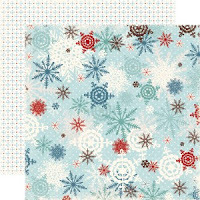 Marjolaine is a very playful and great line as well in the nice blues and greens. They are both double sided which is also a plus. Please see past post for details! A couple of people have been in telling me how disappointed they were about not making it in for the Open House and even more disappointed about not being able to take advantage of our gift card promotion. SO we have decided to extend the promotion! For every $100 spent before taxes receive a $25 gift card! This promotion will last from now until next Friday, November 26th!! Happy shopping! PS...I will be posting a couple of projects I completed for the Open House. Both were Kaiser Craft projects and are wonderful gift ideas. Can I just tell you how pumped Kell and I are for this year's open house?!?! Honestly, this is THE event of the year for us. I really hope you can clear at least an hour of your day to join us. We have a few surprises that I know you will just LOVE! Kell is working with a brand new product to the store during her make and take. All you trend setters out there are going to go nuts for her designs! We also brought in some products that I know will make amazing hostess gifts for all your holiday parties. I don't know of any other store in town that is carrying this line either and I know they will be in high demand. What is it you say? Well you will have to stop by tomorrow and see for yourself. I dare you to! ♥ An overall amazing afternoon to mingle and chat it up with fellow papercrafters! Go on.....Mingle like you mean it! Stop in tomorrow (Sunday November 14th) from 12-4pm! Sorry to be posting so late in the day but we have been crazy busy at the store preparing for the Christmas Open House this Sunday! Have a look at what the girls have done this month! If you are interested in any of the classes, please call me or stop in to register. Payment must be made within 48 hours of signing up for the class. We have single dates for each class but we will open up additional dates as needed. Please note that the cost for the various classes below include all the supplies for the class. NO additional costs will be charged! Kits will be available for all the classes below at a cost of $12 each. The kit will come with instructions, photos and supplies to make the various projects in the comfort of your own home. 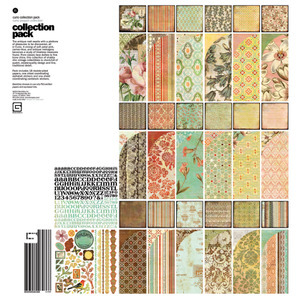 This is a great option if you love the designs but you can't make it to the class. Two very different style cards but so much fun! 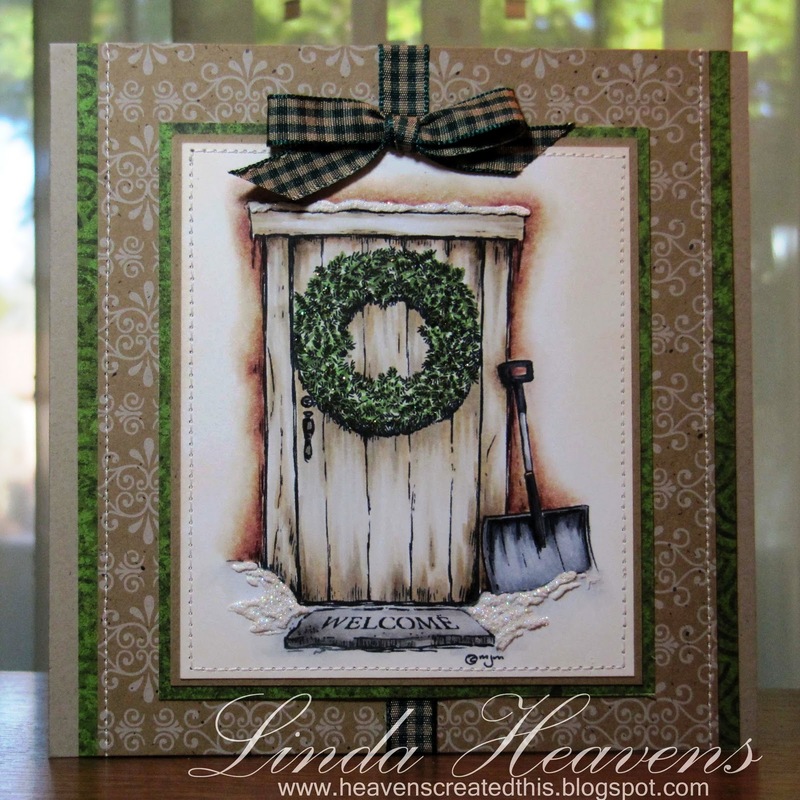 The first is a very elegant card using Penny Black's latest stamp and Distress Inks. You will also be working with liquid pearls, Spellbinders, ribbon and more. The second card will be using various punches and cuttlebug embossing folders. 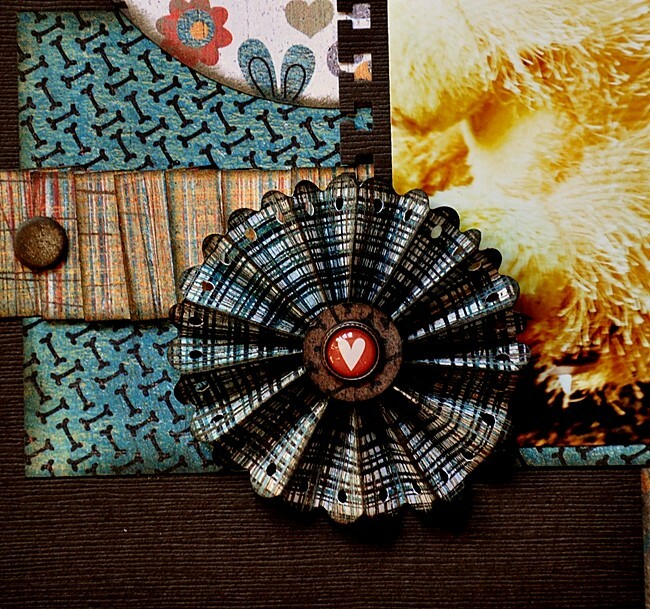 What a great class for beginners or those looking for loads of technique and ways to use all those scraps! You will be making 4 tags and one Christmas card. As for technique, this class is jam packed....Tombow watercolour stamping, dry embossing, working with Atyou Spica glitter pens, using edge punches, using liquid pearls, using Spellbinders dies and Cuttlebugs Embossing Plus folders. Michelle has created a great one page layout using Basic Grey's whimsical Max & Whiskers line. 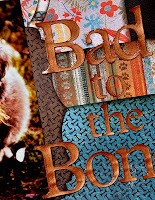 This is the perfect layout for pet lovers or for those of you with children. 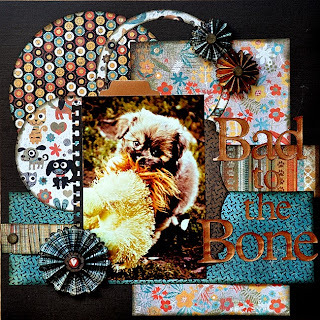 She used distress ink, edge punches, glossy accents, tim holtz bracket die, and more. You will be learning a cool paper folding technique for the flowers and for the strip on the left hand side. Please note: if you would like a different title we can accommodate you! Please let us know at time of booking. We would LOVE for you to join us THIS Sunday for our most favourite day of the year! 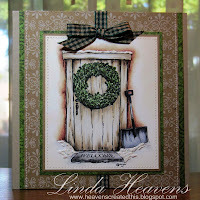 It is a great time to get ideas for your Christmas cards and projects for loved ones. We have some special people joining us including our very own Stampingbella Babes, Linda and Pauline, doing demos with copic markers and pencils. We also will also have Tricia Xavier of the Purple Pansy in the store selling 2011 calendars for a great cause - CK Hunks Calendar for Andy's Team, Duchenne Muscular Dystrophy Research and rumour has it, she is bring one of the hunks! PS....The class schedule will be out tomorrow (Wednesday)!! I hope you guys had a nice Halloween. We really worked our kids this year and now I think I am regretting it. Normally, we only stop at the grandparents and great grandparent's homes. Well this year, the little cupcake fairy and vampire got to go around Nana's block and man did they make off with a haul. I think I have consumed 20+ mini chocolate bars today alone. Wonder if Coulter noticed? Ha. Yes, I am a bad mother stealing from my own children. So now I guess it's time to move onto Christmas. And I know many of you have been thinking about it for some time! Some of you even have your cards DONE! Man, that's organized! For those of you still decided on your card designs this year, I think I have just the paper to inspire you. I have to admit that this is my absolute favourite Christmas paper of 2010. It is called Wintertime by Echo Park. The colours are beautiful....the designs are SO my style....they are double sided.....the weight is wonderful.....and all for $0.99 a sheet. Yup...I'll take one of each please (there are 12 different sheets in case you need to do the math...ha!) 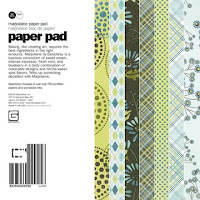 And for those of you that love the 6x6 pads....well this company has sized down some of their paper and they have printed 4 different patterns on one 12x12 sheet. Brilliant. There is lots in stock (at the moment) so stop in and check it out for yourself! NEW Stampingbella Stamps Are Here! 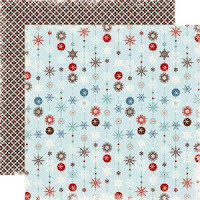 The new Stampingbella Christmas stamps are in! Again, there are some truly gorgeous images perfect for your Christmas cards! Here is a look at what two of the babes have done with the latest images (Pauline used the bunny stamp and Linda used the door stamp)! 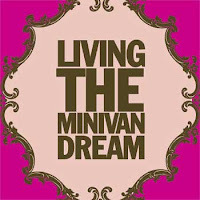 Did you realize that 2/10 or 20% of the Stampingbella babes reside in Chatham-Kent?!? Have you marked Sunday, November 14th on your calendars? This is our Christmas Open House!! Drop in anytime between 12 and 4 for some dill-ightful treats, sweet make and takes (you will LOVE what Kell has designed!) and of course great deals to sink your teeth into!! More details to follow!